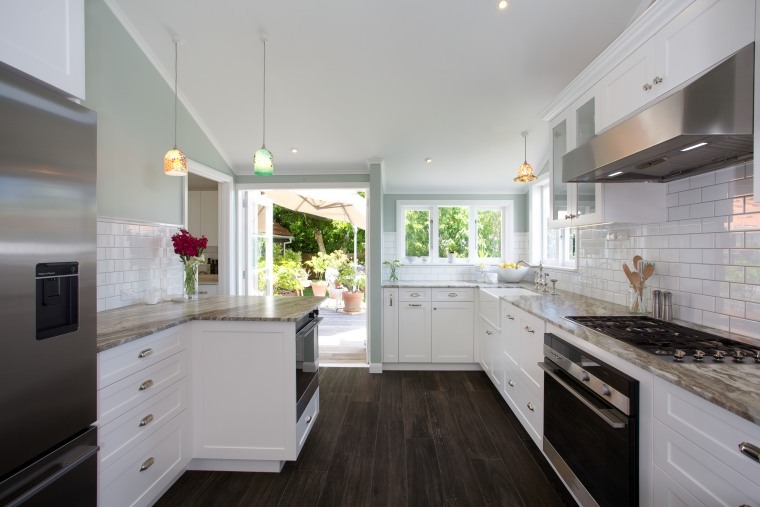 Between heavy foot traffic and general wear and tear, your kitchen floor has a lot to deal with. These five examples show how flooring can make a difference not only to the look of your kitchen, but also its functionality. Concrete floors ensure a semi-industrial feel. This kitchen extension runs with the semi-industrial aesthetic already present in the interior. 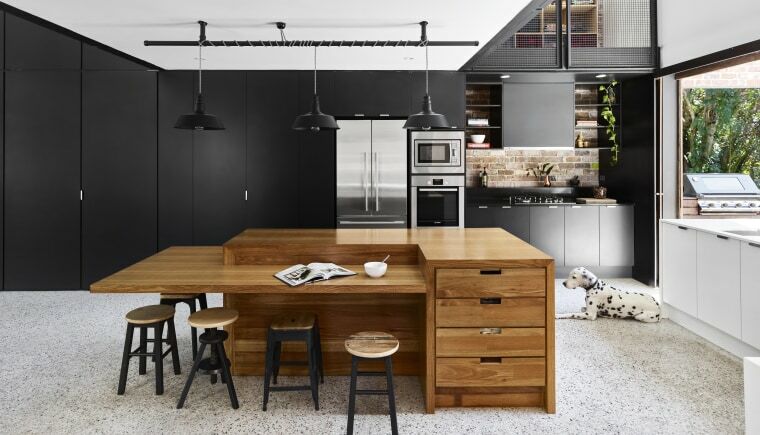 Cool-toned concrete floors and matt black cabinetry are balanced by the warmth of recycled brick and wood. Dropped items are less likely to break on this floor. 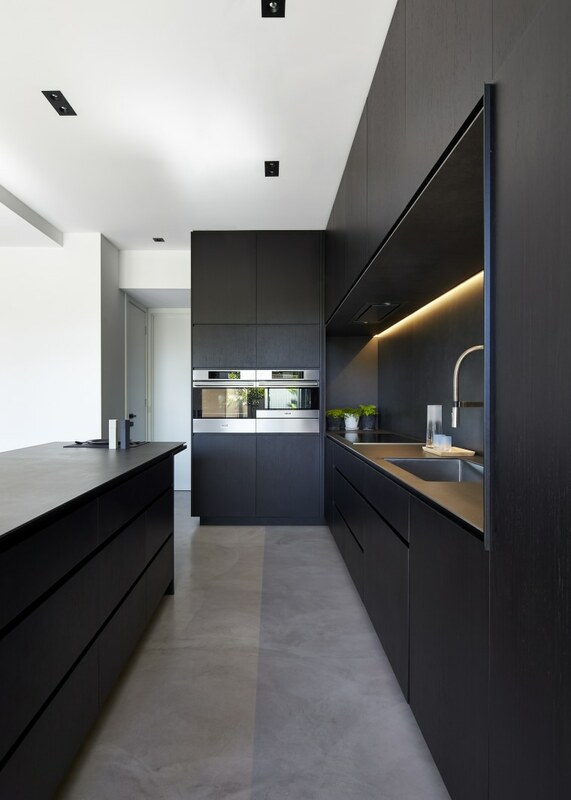 For this kitchen, designed by owner-architect Michael Drescher of DKO Architecture, its combination of high functionality and the innovative use of materials sets the space apart. The flooring features latex-impregnated concrete, which is more giving than traditional concrete. Dropped items are less likely to break on this surface and it's easy to stand on for long periods. Marble flooring helps to bring nature inside. This home's footprint takes up almost all of the property, so unsurprisingly doesn't have a lot of garden. 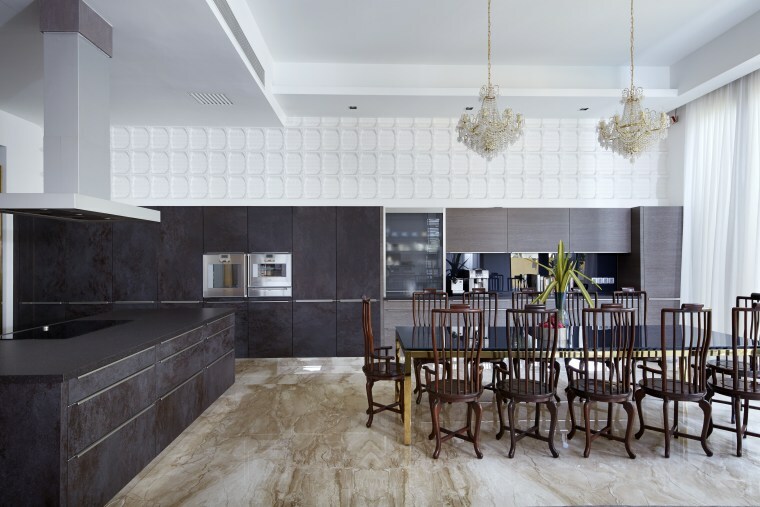 Owner and designer James Yong of Interlink Design Solutions decided to bring a sense of nature inside through the choice of materials. Matched slabs of marble are used for flooring in the kitchen. They have a mirror-like finish, adding to the lightness of the interiors and sense of luxury already created. Seperate flooring materials define the kitchen work space. 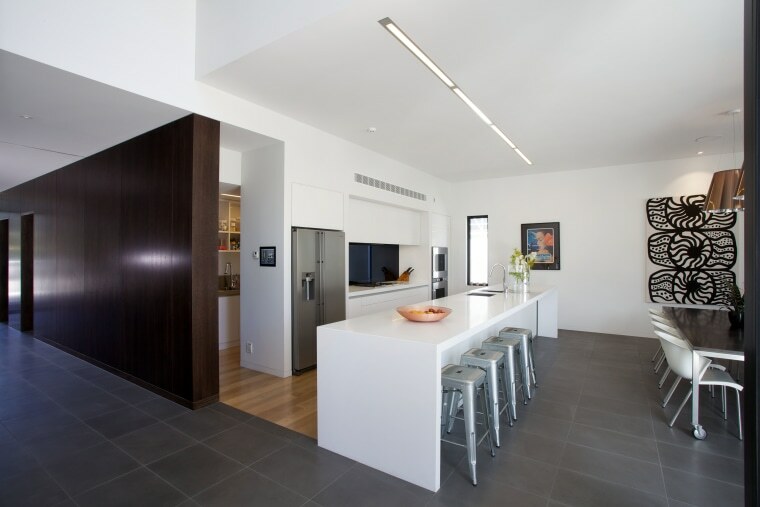 "An all-white kitchen needs a few interesting details, so although the design makes the kitchen recede, it is not completely invisible," says architect Chris Wilson of Wilson & Hill Architects. 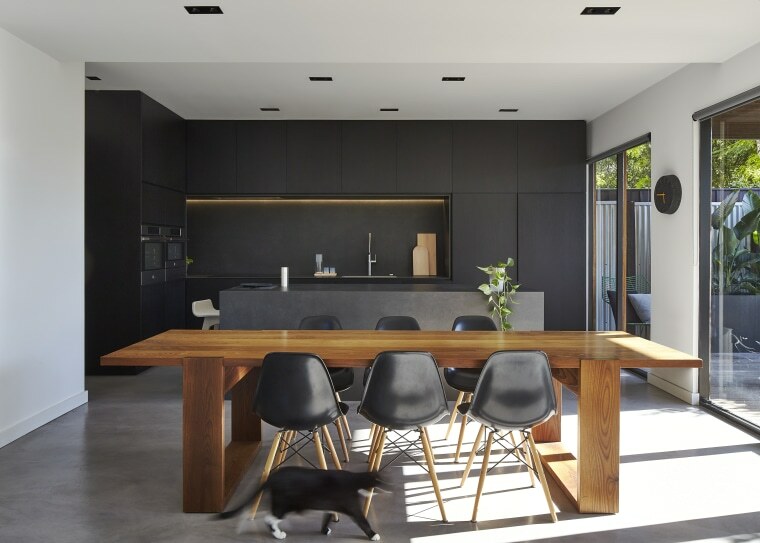 To define the work space within the living area, the kitchen and parallel scullery at the rear have oak flooring rather than the surrounding area's grey basalt. Textured tiles mimic the appearance of traditional wood flooring. This kitchen was created in a classic New England cottage style, but has some modern touches to stop it feeling dated. Although the floor looks like traditional wood, it is actually contemporary textured tiles. These are laid randomly, in varied lengths, to resemble a wide-plank timber floor.